NYC's old-school, members-only clubs are filled with money, privilege, awesome amenities, and bottles of liquor without sparklers in them. If you've got a rich boss or a rich friend or a rich boss friend named Rich, you've probably had a glimpse into this world. If you don't, this might be the closest you're gonna get. The good news is that you can put sparklers wherever you want. 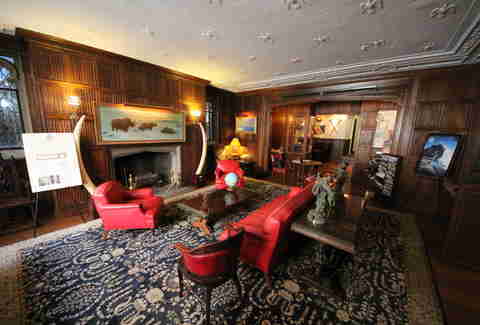 It's the oldest (some claim second-oldest) club of its kind in NYC, and third-oldest in the US, even though it's currently housed in a building that opened on August 28, 1933 -- a building that's said to have a humidor with 100K cigars, squash courts, and a backgammon room. This exclusive and conservative club did not expel its Confederate members during the Civil War and, much like your box fort, there are no girls allowed. Much not like your box fort, John Jacob Astor IV (who died on the Titanic), J.P. Morgan, Cornelius Vanderbilt, Dwight Eisenhower, and Ulysses S. Grant were all members. Dues are said to be around $5,000 a year, which we're pretty sure was no prob for J.P.
"The Knick", as insiders call it, began after some members of the Union Club felt the standards were too lax (shape up, Vanderbilt! ), so they broke off and formed this guy. The mens-only club is sooo exclusive that they have no website, and according to the club's secretary, the club's policy is to divulge "no information at all" about the club. 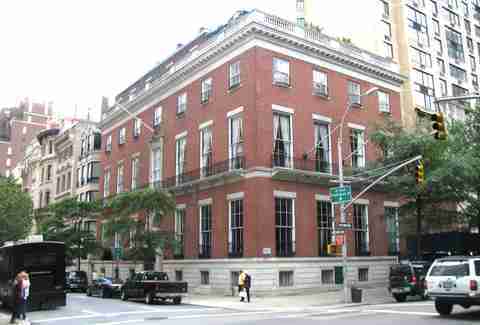 In fact, she would not even reveal its address, which is 2 E 62nd St, available online. Their single Yelp review did say the dining was "lovely", though it's surprisingly not written by a Yelp Elite. The only membership data, from 1959, suggests it might have around 500 members. 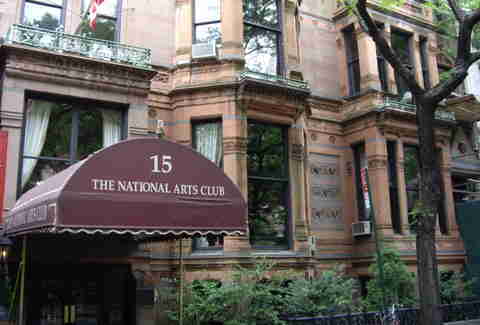 It's considered "the most unspeakably respectable club in the United States" by Mark Twain. It's upscale, but also creative, plus it’s got a mid-size theater, a ballroom, as well as a worthwhile art collection. Lots of media, advertising, and writerly types are members, plus the likes of Mayor Bloomberg, Tina Brown, Brooke Astor, Henry Kissinger, Robert Morgenthau, and Andy Rooney. It first began admitting women in 1988 and has dues of about $2,000, which we're pretty sure Bloomberg can afford too. 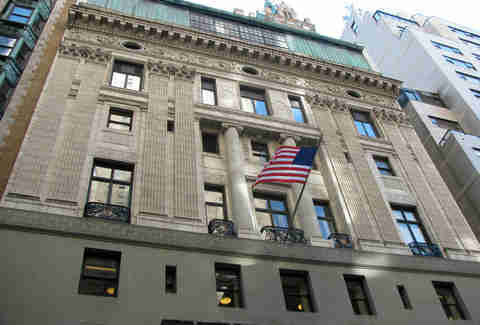 Although it was founded in 1852, it's been in its present building at 4 E 60th St since 1905, where people with fancy jobs who've been sponsored, seconded, and admitted gather for talks about politics, finance, real estate, health, and whether or not their sweater looks better tied around their shoulders or their waist. Most of its 1,000 members are Jewish. 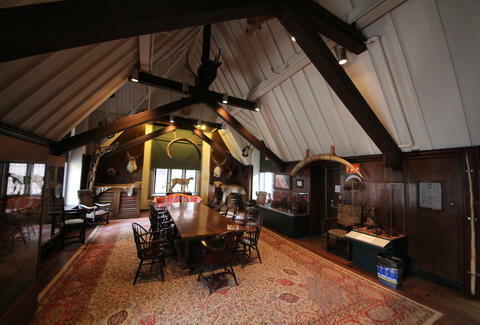 If you make it in, you can score eats from the mahogany-paneled Grill Room (with leather-cushioned bar stools and over-sized chairs) or the main dining room with 20ft ceilings and English white oak paneling. There's a Sunday Brunch buffet, a fitness center, squash courts, and a pool, of course. And a half-sized basketball court with an adjustable height rim, so you can set it to 7ft and dunk on your fellow zillionaires. 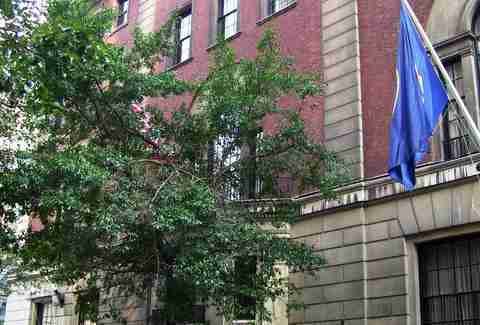 Abolitionists broke away from The Union Club during the Civil War to start this club. 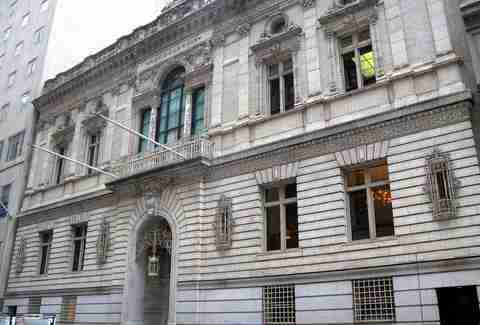 One of the best looking ones in the city, The Union League Club features a fitness center, squash court, art gallery, dining rooms, library, 60 bedrooms, and a wine cellar. You can only "display papers" (aka do any business) in the main lounge, and jackets and ties are required for men, as with most of the clubs. 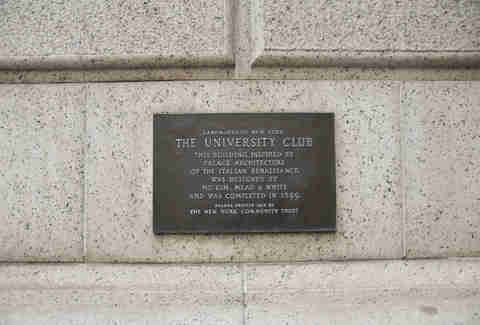 George H. W. Bush, Margaret Thatcher, and Neil Armstrong are among the notables who belonged to this club. The architecture alone is worth any chance to get in for a visit here; The University Club has three of the most spectacular rooms in New York: the reading room on the lower floor, the enormous dining room, and the library with winding stairs that take you to a mezzanine with ceiling murals modeled after the Vatican Apartments. Aside from those, they've got rooms to stay, squash courts, a swimming pool, and an actually reasonably priced wine cellar. For some reason, no business discussion is permitted in the club, which includes no taking out of papers or using a cell phone (even if it's totally just to invite people to play Farmville). Dues and membership info is hard to come by, but be prepared to pay at least $5,000 plus an entrance fee to join in the first place. After 20 years, it drops to around $2,000. Score. 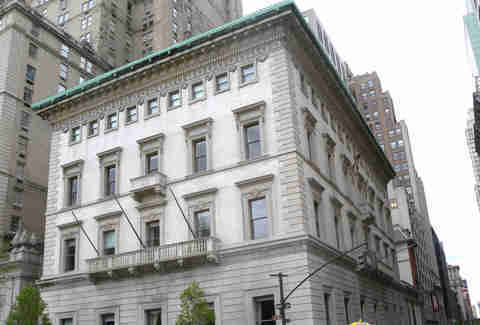 J.P. Morgan put this club together when other clubs wouldn't let a friend of his in. It’s one of the most gorgeous of the clubs, where men wear jackets and ties... and neither turtlenecks nor ascots are acceptable substitutes. So don’t even try it with that ascot. No cell phones allowed, except in private rooms or bedrooms. It's rumored to cost $5,000 a year in dues alone, but no one is officially saying. 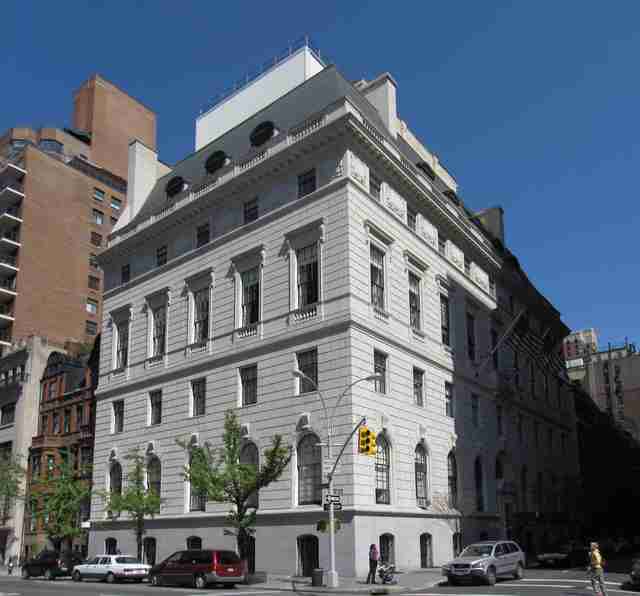 Located on Gramercy Park South, this hub for artists and art enthusiasts stays true to its name with an extensive American art collection in a landmark building that is quintessentially Gramercy, artistic, and friendly. It features a dining room and bar, but lacks the uber-club amenities such as squash and a swimming pool. And while you do need a shirt with a collar, a turtleneck, a sweater, and suitable attire for women, forget the tie and jacket ordeal. These are artists, man (but no denim of any type!). A membership does not require sponsorship, but you will need to contact the admissions department for details. And it's invitation-only, so bring your A game. Finally, a club you can actually join! You still have to be invited and seconded, though, and you also need to be a real explorer for full membership, but you get to do awesome things like meet James Cameron and eat muskrat! Dues range from $1,000 for a full-resident membership, to $50 for a student. The club has 19 chapters throughout the US and reflects an openness to membership in the normally closed world of exclusive clubs. Tom Nite is the founder of TomByNite.com, a writer, photographer, occasional indie actor, and long-time submarine race-watcher. He loves flights of Scotch almost as much as flights of fancy.